How you adorn the inside walls of your living space plays an important role in changing the look of your décor. Sometimes simple things work wonders while sometimes you need to go over the top in dressing up blank empty walls to add the much needed atmosphere. Carefully selected and artfully put up items make great, eye catchy and statement making displays. At Sussex Lighting we have a carefully selected stock of original paintings, artistic wall accessories and pictures allowing you to improve your home in the most tasteful manner. Our collection of wall art and mirrors includes decorative mirrors, decorative mirrored wall art, unique and unusual wall art and wall pictures, decorative wall panels and contemporary metal wall art. We also have a great collection of paintings which includes some very exclusive works of art such as creations by Clare Wright and mirrors from Saligo Design etc. 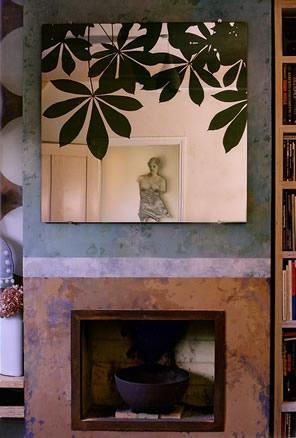 Take for example the Saligo Hothouse decorated mirror. Saligo Design specialises in the manufacture and supply of antique mirror glass to interior designers, architects and private individuals for a variety of decorative applications. The beautiful artworks are made to order although we do have 3 designs in our shop. They can be sized to order. Customization is our strong point so if you have something specific in mind, we do our best to customize the same for you to match with your colour schemes and overall decor ideas.